This is a really rarely occassion where I post a photo that was taken on the same day. Sometimes I post photos that I took two even three years ago. 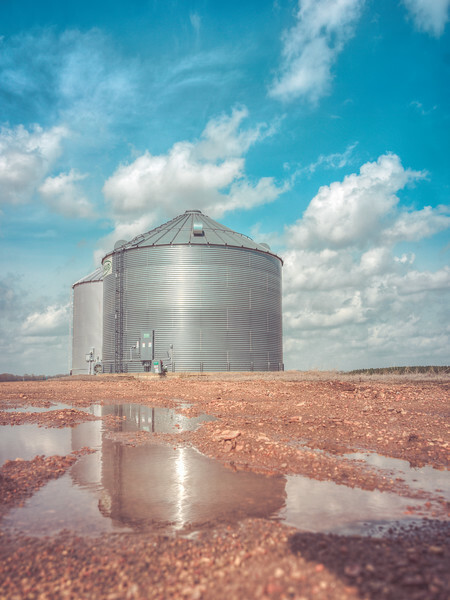 Since I am spending a lot of time in Tupelo this weekend, I decided to get out and explore and take some photos since the clouds were perfect for afternoon photography. It didn't last very long, however, as the rains began to settle on Tupelo for a while. Hopefully there will be more exploring tomorrow. 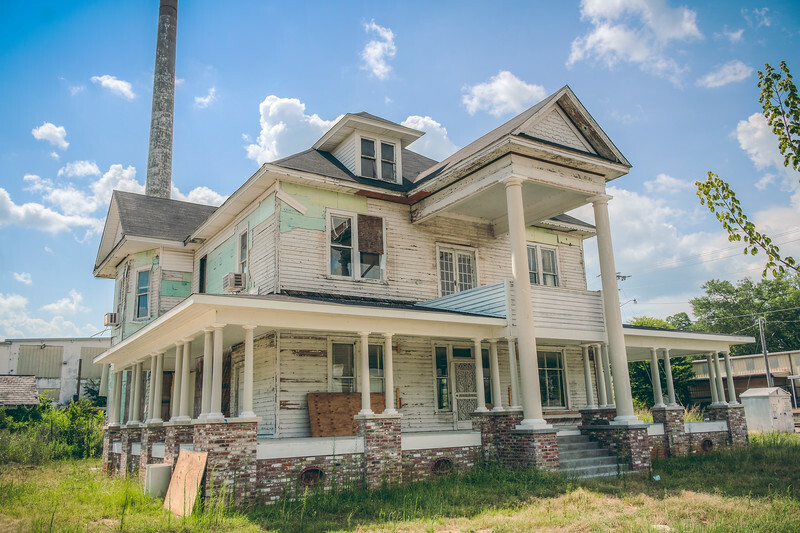 This is the Spain House which is being restored in the Mill Village area in downtown Tupelo. Word has it that this house was moved to this location from another location after being hastily put on the national historic register. I'd love more information on this house if you got it. Comment below! 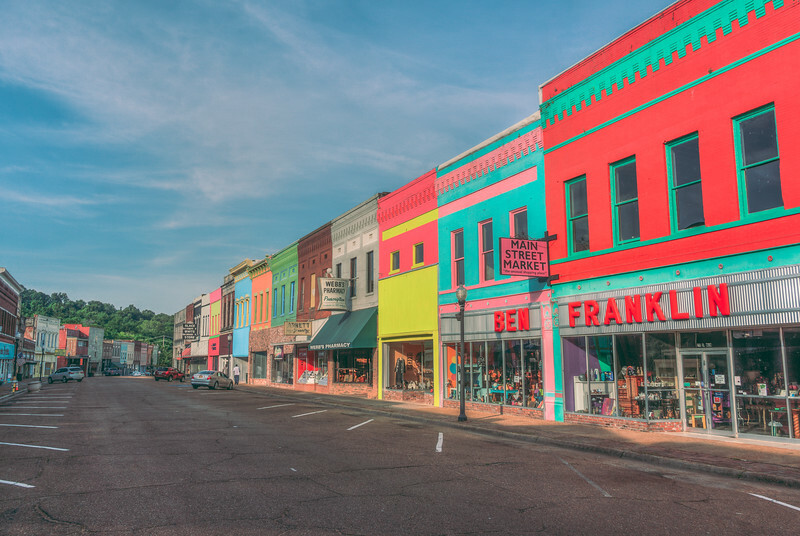 Tupelo is a great town in Northeast Mississippi. I actuallly worked there for about 7 years, so I am well aquainted with it, but had not photographed it very much until recently. 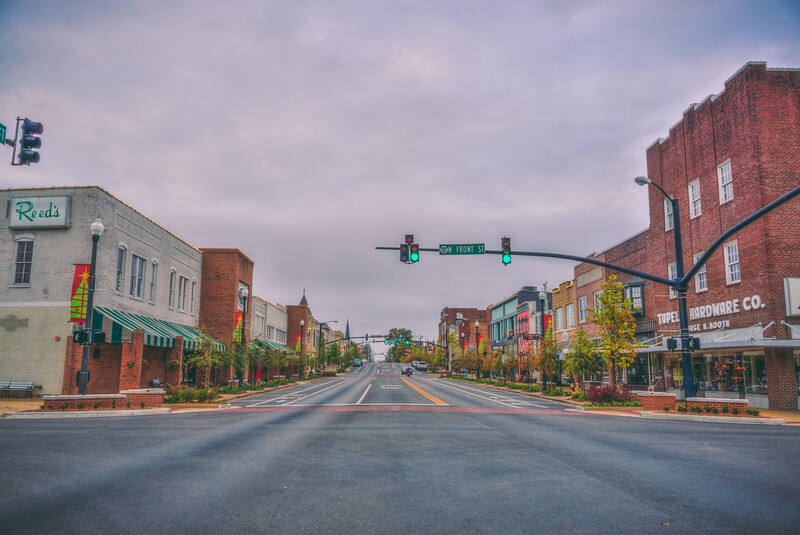 Though they do not have the typical Mississippi town square, they have a very nice downtown area with lots of great restaraunts. 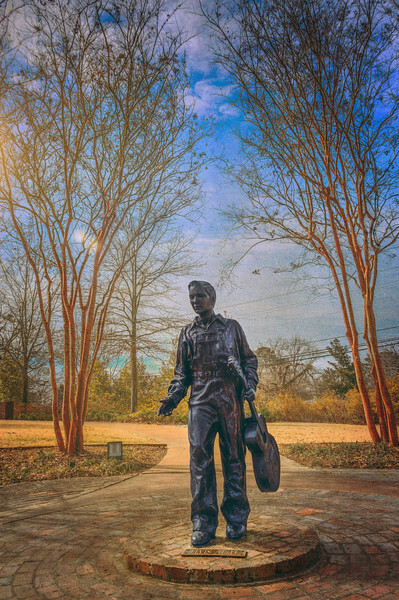 This is a photo of the Elvis statue in Tupelo next to his birthplace. I took some liberties with this photo using some textures that I created a while back, however, in my experimentation I only added the texture to the background to make the statute standout more from the background. I thought it might be an interesting look and I'm really happy with how it turned out. When trying to add the texture to the statue as well, it blended in too much with the background. I'm so glad that I saved the textures that I used because they often come in handy and can be used in both subtle and not so subtle ways (like this photo). Enjoy and let me know your thoughts! Tupelo has changed a good bit since I worked there about 5 years ago. In fact, the change began during my time working there. Fairpark has exploded into a great little place with nice shops and new buildings with still more room to grow. 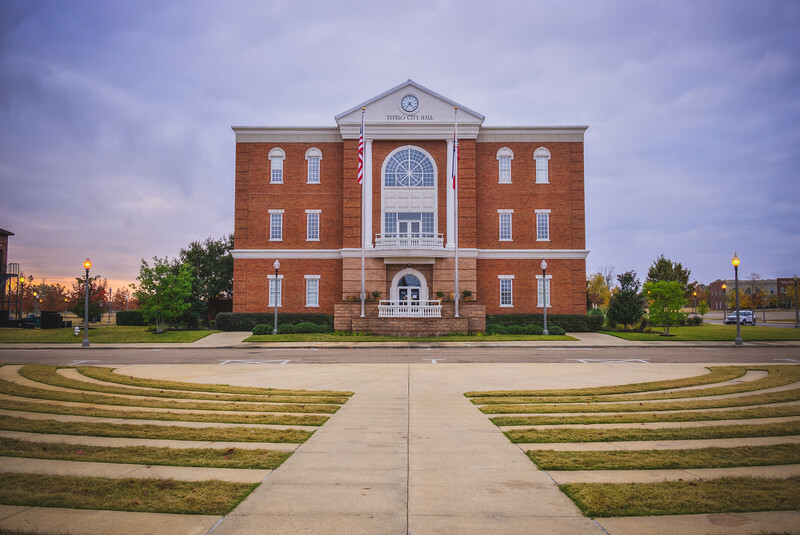 This City Hall building was built while I was working in Tupelo. Merry Christmas! I hope everyone is enjoying time with family & friends, sipping on coffee or hot cocoa, watching your favorite Christmas movie, and, since it's Sunday, worshipping with your family. I'm looking forward to all of that today and more. I love Christmas! I took this shot two nights ago in Tupelo on our way back from seeing the awesome display of Christmas lights in Cotton Plant, MS, a must see next year if you haven't seen it yet. 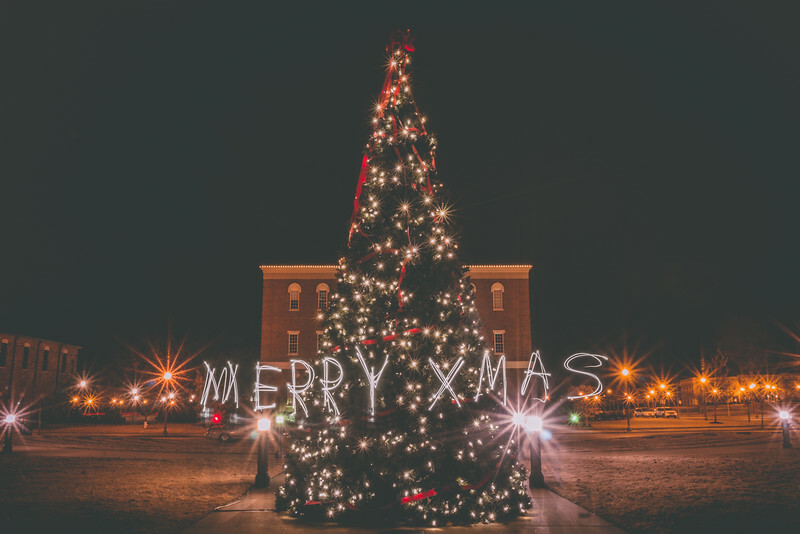 Anyway, I had this idea to do some light painting in front of a Christmas tree and I knew that Tupelo had a really big one in Fairpark, so my wife, a friend, and I worked together to make this shot happen. I wrote out Merry and my friend, Jeff, wrote Xmas (Christmas was too big of a word to write out in the time we had to take the photo, sorry to those we get offended easily) while my wife took the photo. This is a 30 second exposure and the light painting was done with the flashlights on our iPhones. It took about 4 or 5 tries but we finally got it! I love playing with long exposures and discovering what you can do. It's challenging but fun to try, especially with other people. Today is the 2nd of 10 days of Christmas photos leading up to Christmas Day. This photo is from Fairpark in downtown Tupelo. I really wanted to highlight the tree in this one so I played with the colors and exposure of the tree as well as brightening up the pathway leading up to the tree. It was a very cloudy day on the day I took this so I went kind of gloomy with the foreground and background but livened up the colors of the tree to make it the central focus and the happy point of the photo. 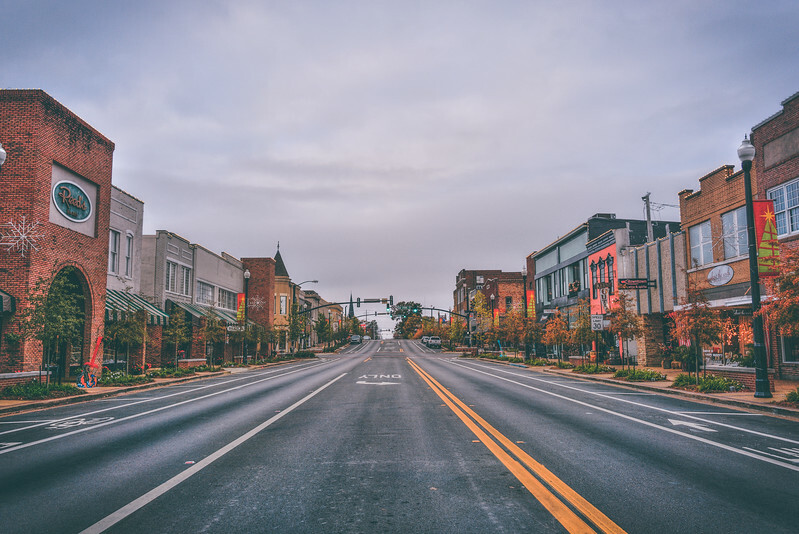 Got some nice photos of downtown Tupelo on Thanksgiving morning as I was passing through town. 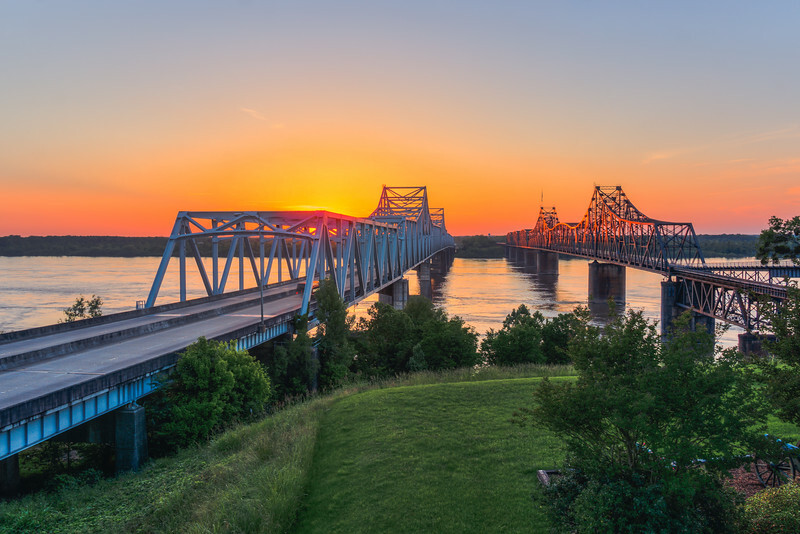 I have neglected to get many photos of Tupelo during the life of my blog, so I was glad to be able to add more of Tupelo to the portfolio. This is Main Street, East Main more precisely, nicely decorated for Christmas. 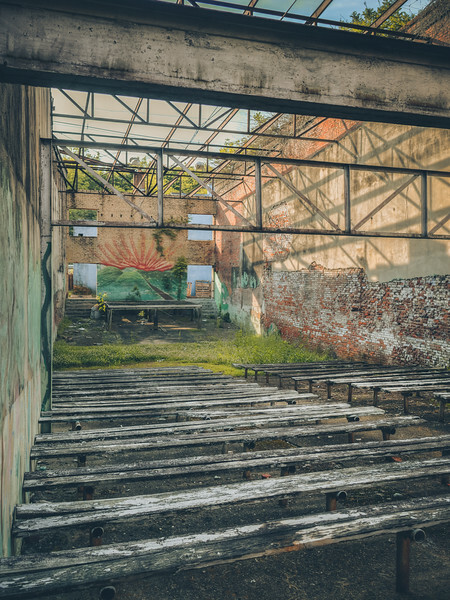 I've posted a couple of photos from Fairprak recently as well so click on the tupelo or lee tags and check them out. 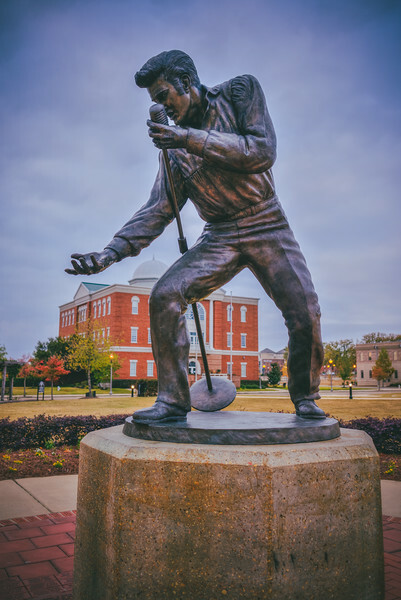 I love this statue of Elvis Presley in downtown Tupelo at Fairpark. 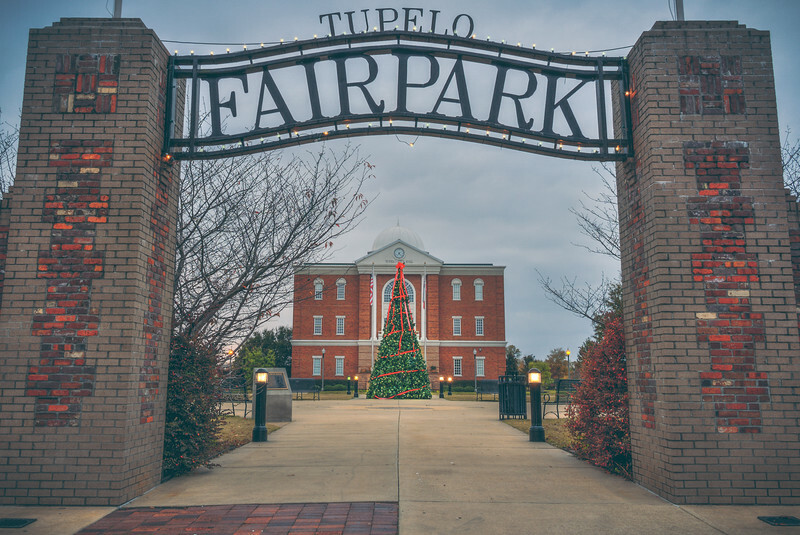 I worked in Tupelo for seven years and this area has changed dramatically since my time there with a new city hall and park with several restaraunts, all right across from the BancorpSouth Arena. Ah, Christmas is upon us. I love Christmas and part of what I love is the decorations that go along with it, so colorful and vibrant and lights to make the colors shine. 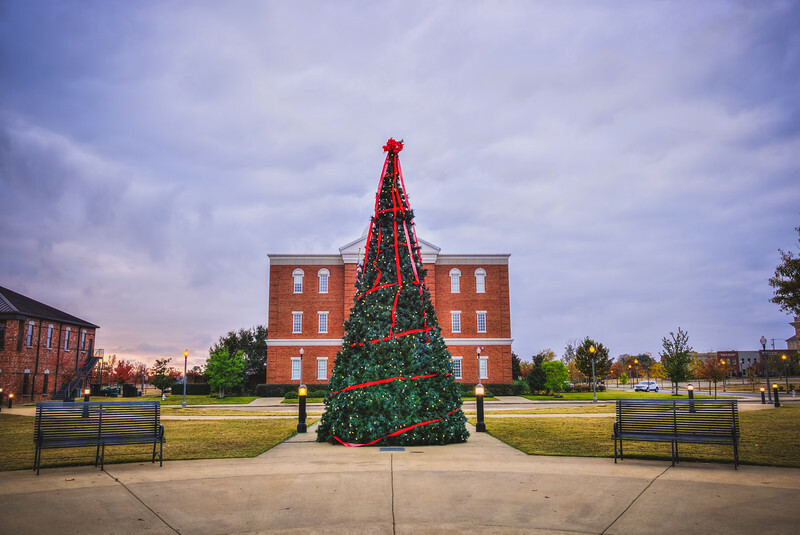 This is the Christmas Tree at Fairpark in downtown Tupelo. 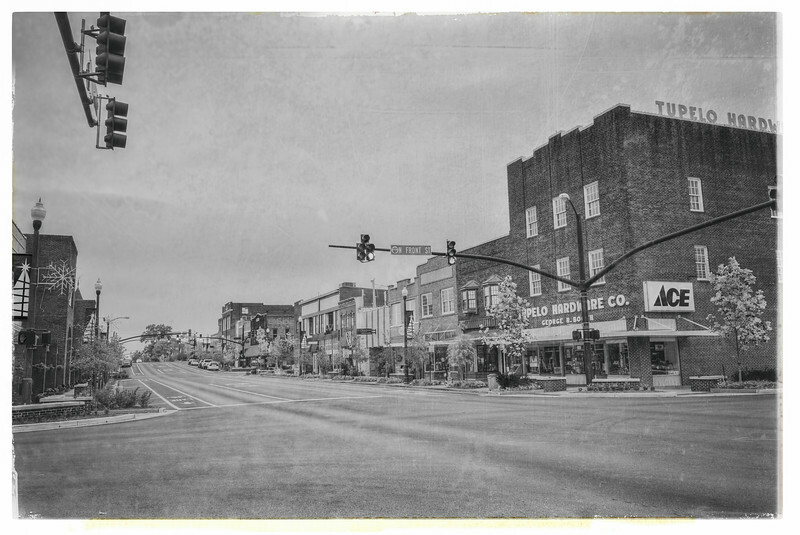 I shot this in the pretty early morning as I was passing through town. Starting Dec. 15th, I will be posting a Christmas photo everyday leading up to Christmas Day so get ready for more of these types of photos.